Got the urge to make an order on Just Eat or Deliveroo? Step away from your phone and pick up a chopping board and frying pan! 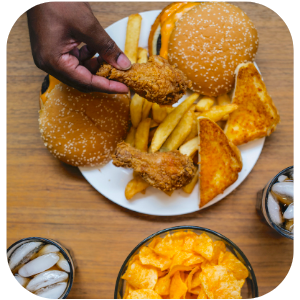 When that takeaway craving hits, it can have a negative impact on your health AND your bank balance. Instead of forcing yourself to have a bowl of salad or vegetables, you need a fakeaway. Fakeaways are much healthier and cheaper than the real deal but still taste great allow you to satisfy your craving. Everyone loves a Chicken Tikka Masala, right? It's a classic that we just can't get enough of but it isn't particularly great for your waistline. However, a homemade alternative is much better and makes room for extra naan bread which is always a good thing. 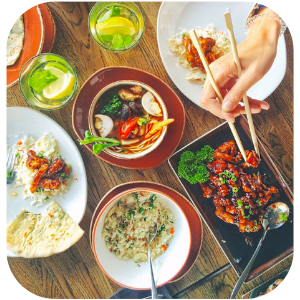 Whatever your go-to Chinese dish is, you NEED to have it alongside egg fried rice or salt & pepper chips to complete the meal. Seen as you're making healthy alternatives, you could even treat yourself to both if you have been working hard or just need an excuse after a long, rubbish day! In all seriousness, how can Dominos or Pizza Hut justify charging over £15 for a large pizza? Not on! That's where a fakeaway comes in. You could follow Joe Wicks' using a tortilla recipe or could go all out to recreate a Texas BBQ, it depends how adventurous you're feeling. Either way, it'll save you some dollar. Are you one of those people who insists on a kebab in the early hours of the morning? Well, instead of spending a few quid on one of those and eating a seriously unhealthy meal, make your own kebabs are home. 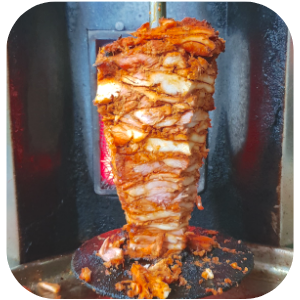 Chicken shawarma is much lighter (in terms of calories and price point) and isn't too difficult to make either. Wherever you look, especially when you're challenging yourself to eat healthier, you see burgers. Chicken, beef, lamb, fish, veggie, vegan; you name it, they've got it! Save your money and make some patties at home (beef or vegan) and you're set for the next time a craving hits. It's no secret that fried chicken isn't very good for you but it's easy enough to create a crispy coating for your chicken at home instead by using flour, egg and breadcrumbs. If you're partial to a KFC every now and then, fake a Zinger burger using Heatwave Doritos - genius! There you have it... if that doesn't work, it's time to delete all food-related apps from your phone and start detoxing. We wish you the best of luck!